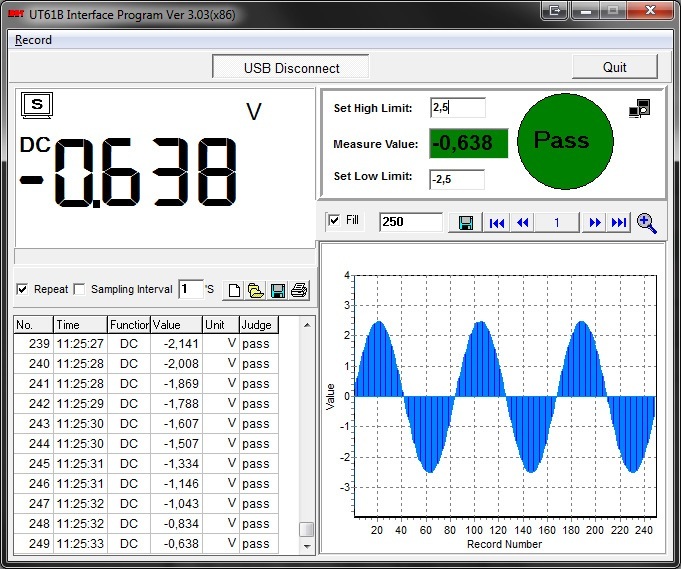 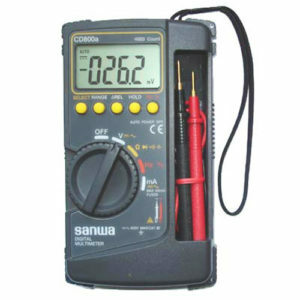 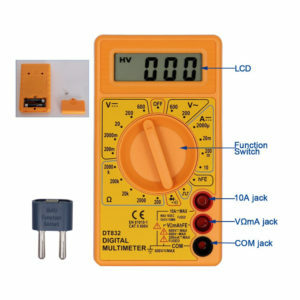 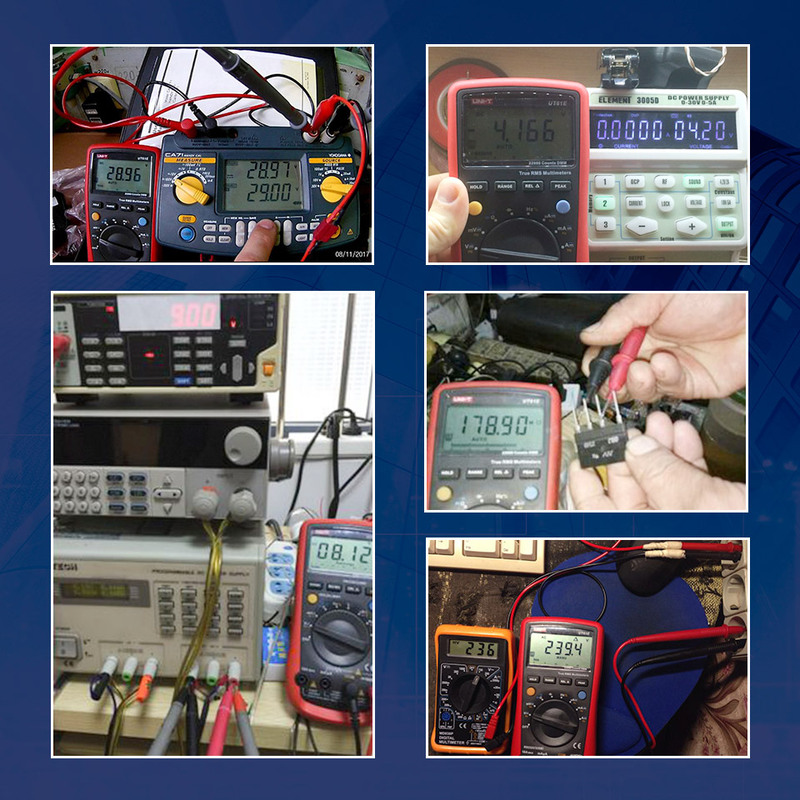 3¾ digit multimeter to measure voltages, currents, resistances, capacitances, frequencies and temperatures. 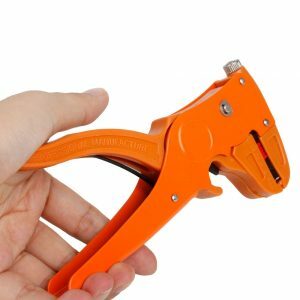 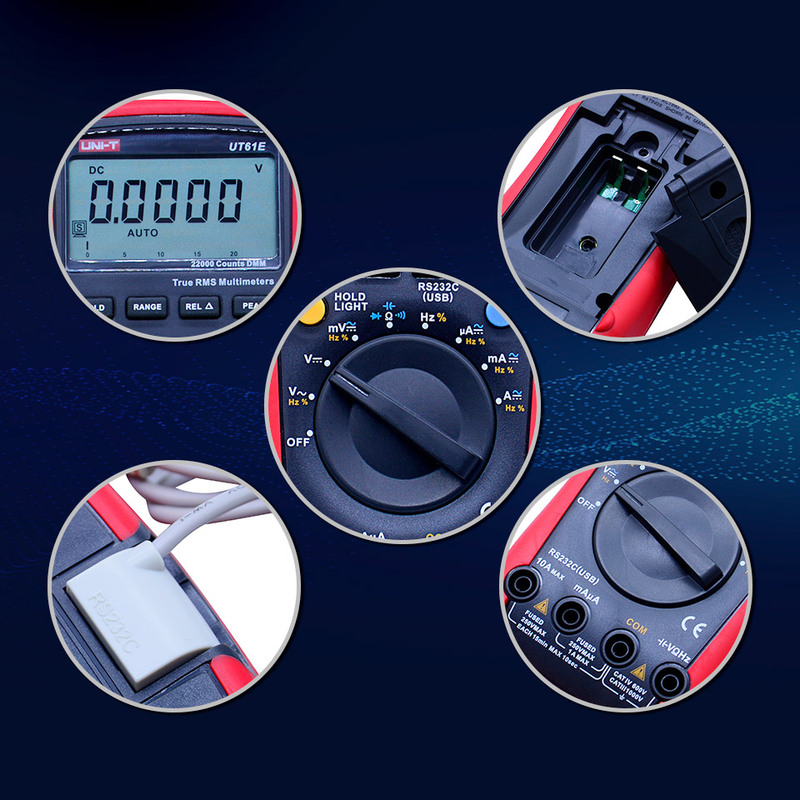 Delivery including measurement leads, battery, temperature sensor, RS232 cable, multifunction adapter, user manual (english only) and CD. 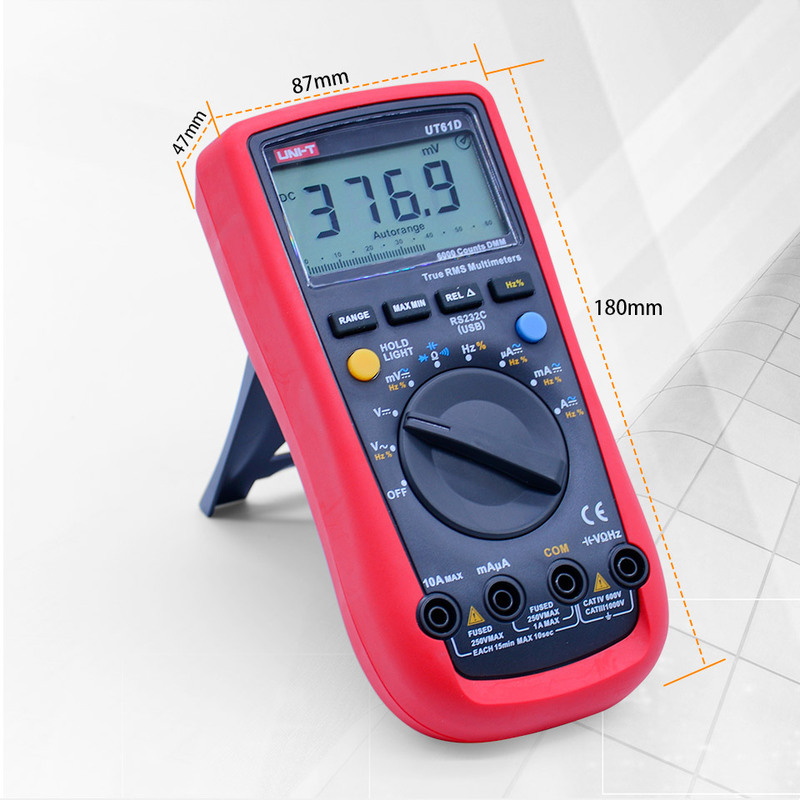 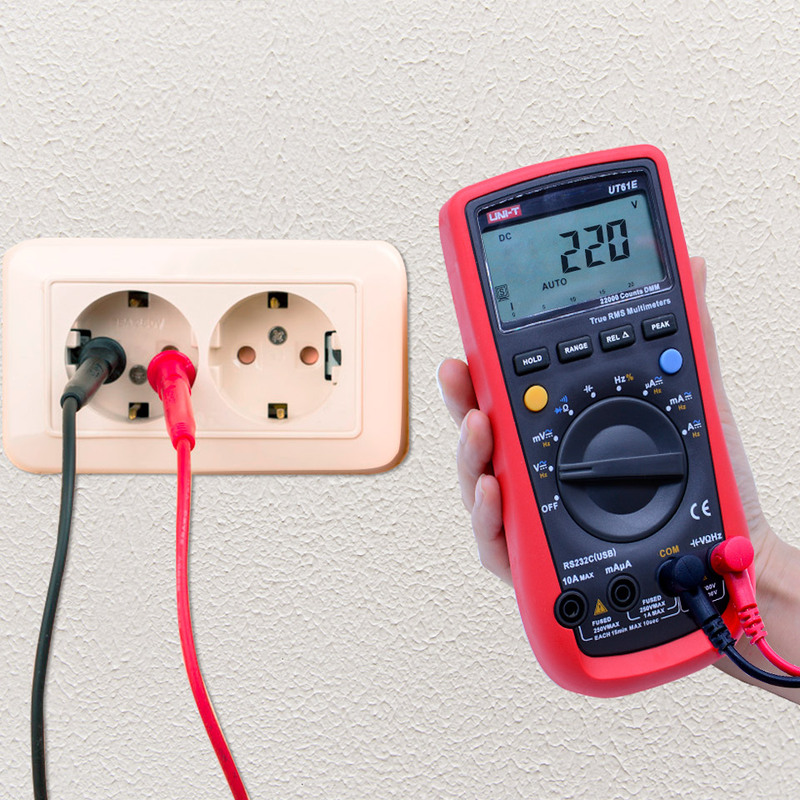 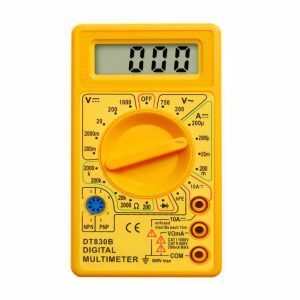 The UNI-T digital multimeter provides a sophisticated measurement technology at a very good price / performance ratio. 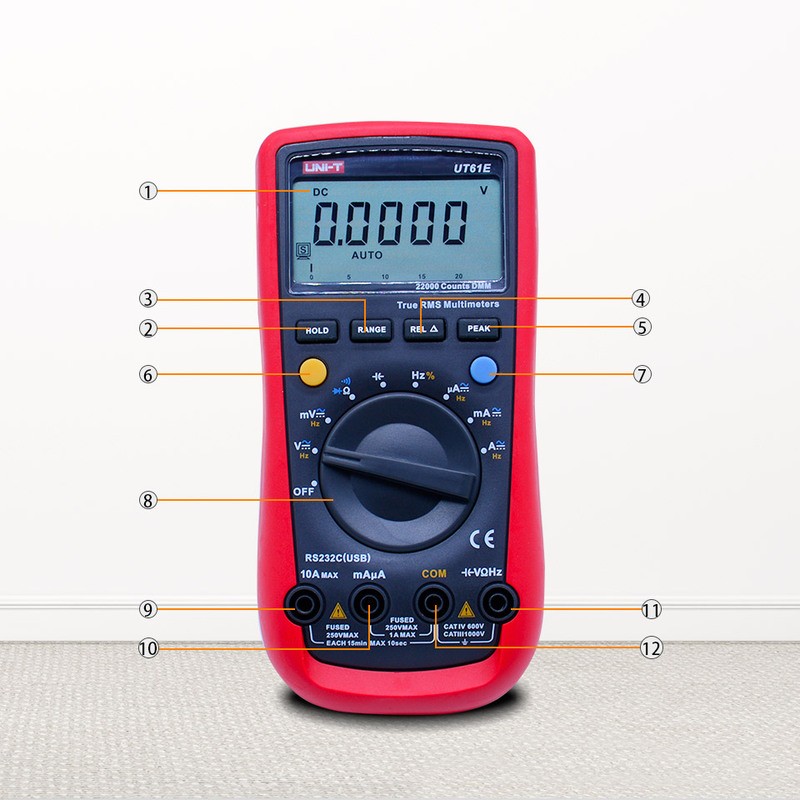 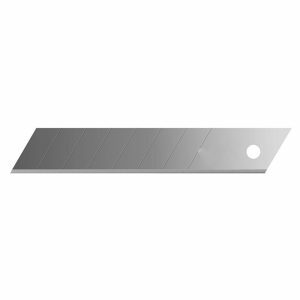 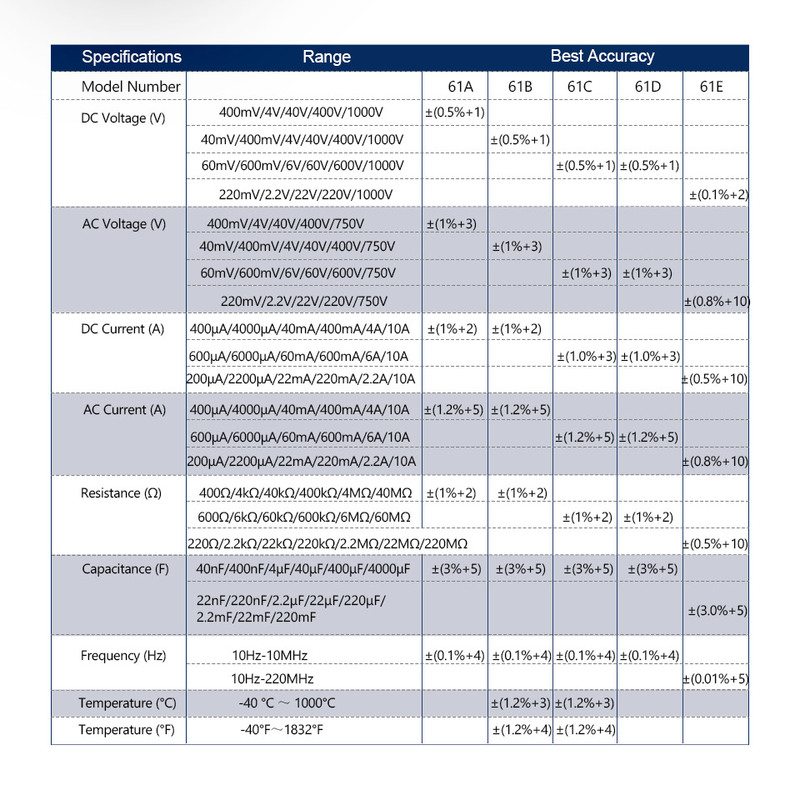 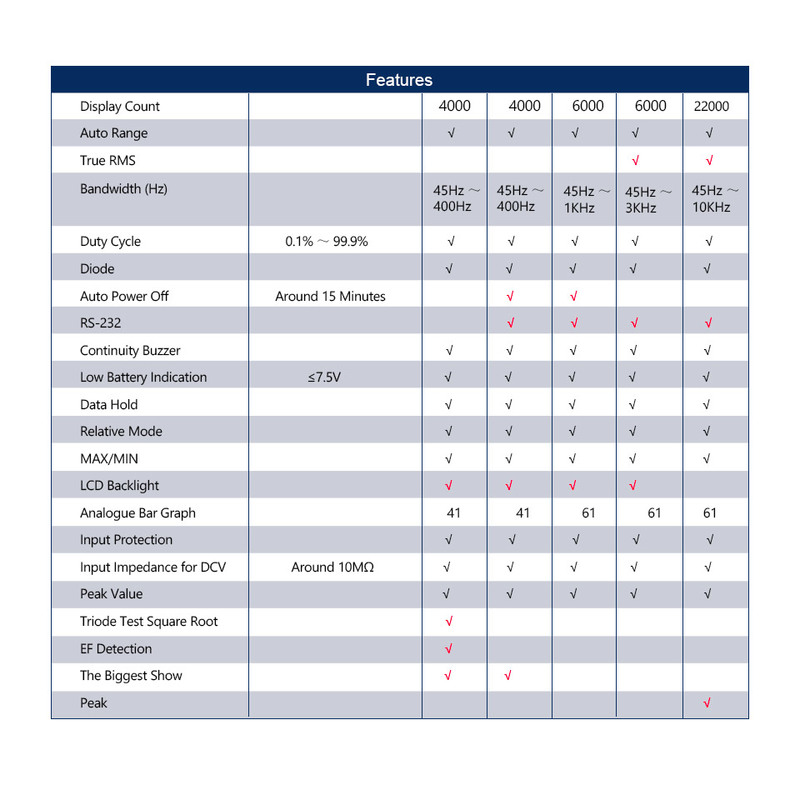 Different models cover the entire range, from the good entry-level model to precise measurement devices with a precision of 0.05% deviation. 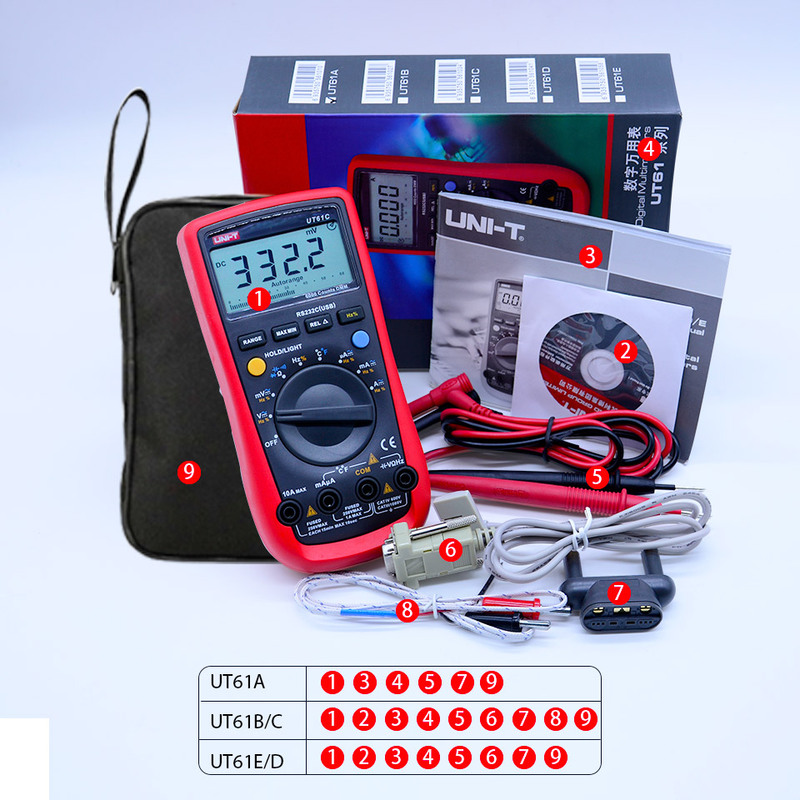 The UNI-T UT61B has a built-in USB / RS232 interface for PC communications. 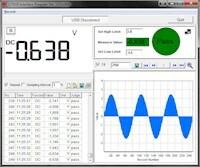 Combined with its software, it allows receiving, recording and performing long time data measurements with graphical visualization.